San Diego Freeway (405) - vintage postcard - gift to The Museum of the San Fernando Valley from Gary Fredburg 2011 (click on image to enlarge) late 1960s. 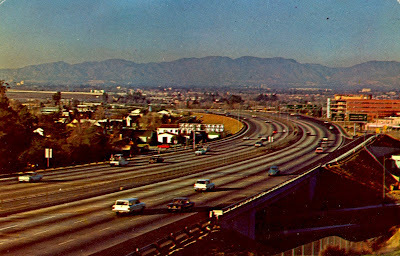 With "Carmageddon" only days past, this postcard presents a particularly interesting image of what today is one of America's most crowded freeways. 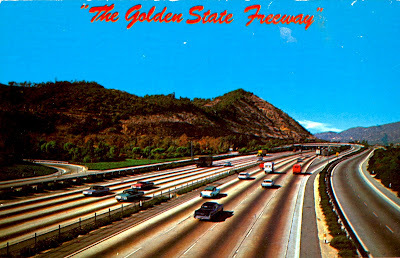 Golden State Freeway: vintage postcard - gift to The Museum of the San Fernando Valley from Gary Fredburg 2011 (click on image to enlarge) late 1960s. 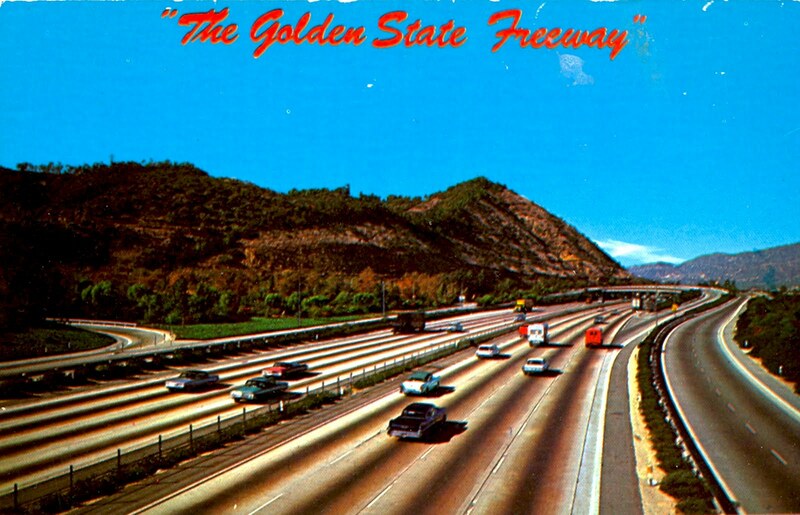 "Magnificent New Golden State Freeway. Newest completed link of the vast Los Angeles super highway system bypasses city center providing direct flow between areas northeast and southeast of Los Angeles." Those were the days! Do you have the year each was printed? The first appears to be going N on I-405, approaching the original Ventura Blvd exit and the 405/101 split. I'm not sure where the Golden State one is from. 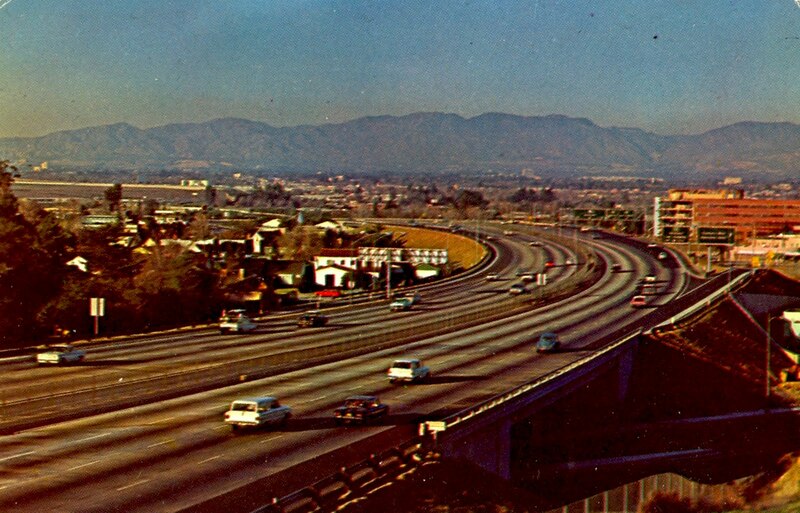 The Golden State Freeway postcard is looking north at Los Feliz. The overpass ahead is the Griffith Park offramp and the park is on the left.